When we mentioned the distribution of defense points, This fact makes the game a lot easier. It is clear that if the player sends the attack and is in the top 100 def players, it is a 100% false attack. I do not know if it was the right decision. Another thing I do not like. There is no reward for victory in qualifying. There is no motivation to win. Players prefer to collect defensive and attack points or population. The builder wonder who mostly outlay a large amount of gold, has a not chance to achieve some reward. i think he wrote about winner account on qual. round which build 100 lvl ww. My post on blog.travian.com caused three objections. There is a difference between the blog and the forum. I have no rights on the blog and can't easy do changes. I asked this morning for two changes. They got partially right. The first was a misspelling, Arabia meta is ND - New Dawn. Not NB which is China. In the second case I didn't mention that VN and HellasDT cooperated in the end. HellasDT adapted to the reality when they couldn't build their own WW to 100, for the 4th time in a row, and instead supported VN for a shared victory. The third case is a bit trickier. The first time I wrote about Italy in the blog, it was deleted. I can't write about Italy because Italians is not allowed to participate because of Italian laws. (short story). The forum is another matter but for a time I avoided to write about Italy even here. When I interviewed Simone, leader for the other half of the Italian meta on Germany qual, I described him as leader for the five alliances that wasn't Uollas. When IT meta took a WW it was impossible to continue to ignore them. But what to call them when it was time for next blog for Travian? I couldn't come up with a paraphrase that everybody would understand, so I decided to test with Uollas - and it was accepted in the blog. The other half of the IT meta wasn't so pleased - I understand that - sorry, but ita was a bit to obvious. I've heard that they are working on a new name to make the two Italian parts to one whole - I look forward to its release because for Final I will write a war diary for the blog every week and i really want to be able to write about all that participate in Final. For the Final Travian Games has provided me with a magic box Shall we take a look and see what’s in there? 150x50 is too small - and I agree. Make it bigger but have in mind that I need to minimize it in Corner. First banner is delivered - Dacia meta. Safi. Maybe better create new topic for your contest? Post was edited 1 time, last by Safiren ( Oct 28th 2017 ). I’ve sent out requests about Prestart interviews and the answers has begin to drop in. One of the questions is where they will settle – a question I really don’t expect an answer on. There are usually a lot of hyschhysch around that part. On the other side after so many rounds, this is the seventh, I think. *Safiren counts on her fingers. Russia won the first two, EU-meta the third. Russians again and then Dacia. Russia last year when they took all building plans. Yes, seventh. ...We have four quadrants, 5 to 6 bigger coalitions and some of them tends to have a favorite quad. Some have already been open where they will spawn. From Russian forum came the news that Russians is splitted and will not cooperate about WW. How much of that is true? Compared with last year we had 2 groups of Russians, BAD + Cerber with friends as Def&Dest, HellasDT and Thai in SW, and WINter as an independent group in NE. This year we have a new independent group of Russians, namely Prime and X3. Alliances from ordinary Russians servers and good ones too, with several victories in the luggage. WINter, also independed. And BAD plus Cerber, still united and with Def&Dest, HellasDT and maybe Thai, I have had no contact with them. So instead of Russians in two quads we will have Russians in three quads and Turkey/Arab in the fourth. All of them more then willing to fight the whole way trough the server. We start with Pristol, leader for WINter. 1. We are awesome modest noobs. 2. There are no such teams. We will fight against the neighbour one in our sector. 3. At this moment there are no alliances beyond our coalition to cooperate with. 4. I've heard about 3 parts: BAD+Cerber+HellasD etc, Prime+X3, WINter+Mafia+Nuthouse. Of course this division doesn't strengthen any of the parts, but on the other hand, the possibility of an alternative attracted to the Finals many strong teams from ru servers that hadn't play here. I believe that it will refresh the Tournament, although I understand that it will be very difficult for our team to make competition to multinational teams. 5. We haven't heard anything about Italian team, or about their playing skills. As for Dacia and Turkey/Arab meta they are for sure the main candidates to win. 4. I do not believe they will not work together. I think they hide their main plans. 5. Turkey must unite, then it will be an unpleasant enemy. Arabs are very unpleasant enemies. Dacia I hope they will be in full strength. SPQR I do not give a great chance of success. They are not united. 7. I look forward to a beautiful and honest fight. 2. Russians of course This year WINters will come to North West. 3. We will play with The Dacia in this finals again. 4. Russians are make a big surprise on each Finals. I think it is the newest tactic. 5. The Turkey/Arab ally is very interesting. With this move, maybe they are will be another favorite in this year. Italy is very strong (we experienced this), they easily won the Germany qualy. Dacia is very ambitious and really want to win, I think they have a chance for it. 7. What can I say? Prepare for the battle and enjoy your nights until Finals will start. First of all thank you for writing and good luck for all the work you will have to do on this server. 1) A group that has learned to be like a family. 2) There are a lot of nationalities that deserve attention, but it will surely be interesting to see with your own eyes the power of the Turks, Arabs, Russians and other nations that usually play this type of server. 3) About my group, In Italian servers we often cooperated with a Greek group called Bunga and we are more than happy to continue this cooperation also in the tourrnament. 4) Of course they have lost part of their strength, but getting along with many "heads" is very difficult and even if they are divided into three parts they are always three large and strong teams and anyone that will find them in the quarter will have difficulty. I also do not rule out that in case of difficulty they could set aside the disadvantaged and help each other. 5) I start talking about Italy, our group. Yes we is now called SPQR, because Italy is not allowed and the name SPQR was used by the ancient Romans (our ancestors) to desctibe all Europe territory, so this name can include also some of our friendly alliances. Dacia is a good candidate to win this server. Good organization and strong leadership. We will play this server like outsider. We hope to make a good job. 7) The only things that i want to say to my team is: never give up and don't play like alliance but play like family&friends. 1. PP alliance = my friends, all for them, the best people I know in Travian. 2. With each alliance We can fight with this team. 3. With All Balkans ally and Dacia (original with Tanathos). 5. I do not know and I do not care. 6. I think + + NorthEast. 7. I do not need to tell them anything, they all know. We've known each other for a long time and we're playing together a long time too. They know that I will do all for them. 2) Chinese NB always looks Russia as a good competitor. It is NB’s honour to be Russia’s enemy. Actually defeating Russia is many players’ dream. 3) Seems COF is good fighting during tournament group C. I prefer taking cooperation with COF in Final2017. Also ND has been Chinese NB’s old friend since Final2015. Maybe they will be NB’s potential ally too. I look forward it. 4) ‘Russia has been splitted in 3 parts’? really? I suspect on it. Moreover, if so, Russia is still Russia. Strong powers are never changed. 5) Turkey/Arab meta, Dacia, SPQR are also strong powers. They are also strong enough to be the winner. I expect they will have excellent performance during Final2017. 7) Wish all of you have fun and good fighting. Welcome to talk with me. Safiren, why didn't you pick me for an interview yet? 7. Respect for all, fear for nobody. bro, if you want, you can come with us! thank you Safiren for your job! what about interviews from another ru-teams' leaders (BAD, Cerber, Prime)? Thank you More interviews will come when I get the answers. I've sent to 16 leaders so far and will send more. Not all will reply for different reasons but that is as usual. Some takes a longer time to reply and it's still several weeks to start so be patient Questions are sent to the leaders you asked about. Rinobit . Do you want latins food? Post was edited 2 times, last by Dodger ( Oct 31st 2017 ). Today I got the news that the Turkey meta have split in two parts. One with 600 players, COF ZERO, the strongest alliance, with Emirhan Vardar as leader has together with other leaders formed a new meta, COF ZERO + COF Other allied + Shahmaran + Adamus + other Turks = MÜFREZE. The COF, the leader in qualification has 800 players under his command and Arabs as confederated. 1- We are a sincere, strong, dynamic, clever, the oldest family in Turkey with a family atmosphere. 2- Of course, the best of this game is the Russians. 3- We do not have any alliance plans at the moment. However, we are open to the offers of our friends who know us. We have a goal of collecting +/+ under one roof. 4- No matter how divided they are, I admire the intelligence of the Russians. As long as Bad and Cerber is together, they will continue to be an absolute favorite. 5- I made the COF and the Arab Alliance personally. I saw all the conditions. As you know, I am a diplomat I believe that if they can use it correctly, they will play the game, but COF is not easy A team I like in terms of WW construction of Arabs. The Italians, we are waiting for their surprise team, their moves. 5- I’m curios to see if this round Arabs+Turks will show all their strength. Dacia they always do good finals and for SPQR i will tell you when the round is finished. We are a new group so very difficult to say now. 6- We still don't know, we will do heads or tails with a coin. 7- Fight like a butterfly sting like a bee. 1. United - Cooperated - Trustworthy – Learn. 4. About the split of Russia, I think it is a great opportunity for other teams to have chances to win at Finals. 5. We used to fight beside Turkey for a few years, they are strong. If they joined a good meta, they would be a quite balance enemy for Russia and EU. 7. 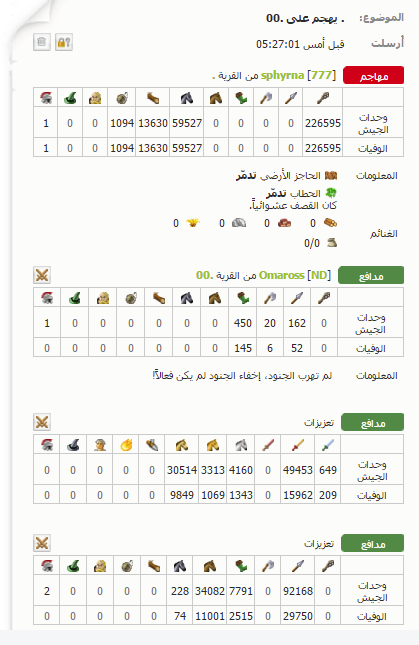 We will try to bring a good basic for our fellow to be a new force in Travian Finals.